ASA Level 1 Assistant Swimming (Teaching) qualification, This professional qualification will provide you with the knowledge, skills and understanding to be able to teach swimming effectively and safely with the support of a more senior qualified Teacher. Once successfully passed the qualification is yours for life. You need to be 16 years or over by the end of the course. It is advantageous if you can swim yourself but is not a pre-requisite. The award comprises 7 units (101-107). There are no written examinations. Units 101 - 104 are common units which are generic across all Level 1 Aquatic awards (Teaching; Coaching; Water Polo; Synchronised swimming; Diving). Once you have successfully completed them, you do not need to take them again if you decide to take one of these other awards. 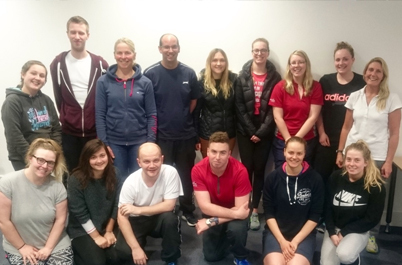 Units 105 - 107 are sport specific, for this ASA/UKCC Level 1 Teaching Aquatics they are focused on the technical application of teaching swimming. To book onto the UKCC/ASA Level 1 or Level 2 course, please go to: www.theiosonline.com to register and book.